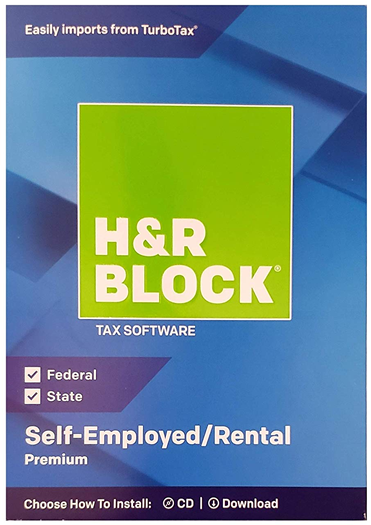 Save 20% Self-Employed 2019 is now 20% off at HRblock.com. Use the above instant coupon when buying from HRBlock.com and cut the price of the Self-Employed Online version from $79.99 to $59.99. Your order includes all the features found in the Premium version along with Business Booster (a tool to help you to write off your startup costs), help with small business expenses (like business supplies deductions, home office and depreciation expenses, and more), and the ability to easily do expense imports from popular apps like Stride. Free Trial Try out H&R Block Self-Employed for free before you get it. If you are new to H&R Block tax software, looking to compare it to the other versions, or wanting to see how this years version compares with last years, then you can head on over to hrblock.com to try it out any of the online versions for yourself – for free! Just follow the above link and it will take you to the selection page and then just choose the version that you want to try. You will be able to go through most of your tax return but you won’t be able to file anything or print out any forms until you purchase the software. If you decide not to get it, then there is nothing you need to do – Simply don’t pay when it asks you to purchase it. For millions of American entrepreneurs who are self-employed or own a small business, H&R Block Self-employed Online is the right product to file tax returns. By choosing H&R Block to file your tax returns, you gain access to an established and highly rated product used by millions of taxpayers every year. H&R Block offers user-friendly interface that focuses on displaying what’s really important at a given moment – clear explanation where you are in the filing process, current refund amount, and easy access to additional resources to answer tax questions. All the above comes with H&R Block guarantee of 100% accuracy. The product is up to date with the latest tax code and is able to evaluate and apply all the credits and deductions applicable to your tax situation. It also guarantees the maximum refund. And the company stand by its product and calculations. In the event your tax return gets audited, you can count on help understanding the IRS request and how to respond to it. All that at no extra cost to you.